Why Fort Knox Home Security? Compare and Save big over the competition! At Fort Knox Security, our professionals understand that your life is busy. That’s why we’ve developed a system design, approval, and scheduling process that doesn’t require anything other than a phone call. 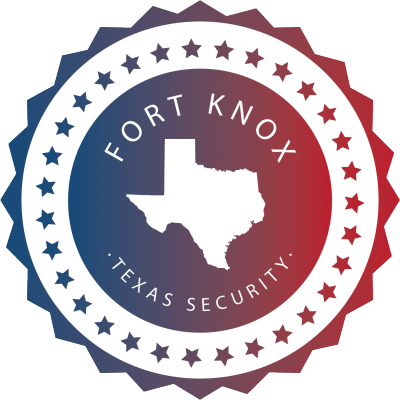 Fort Knox has been protecting Texas homes and families for over a decade, utilizing dedicated security consultants that each have around 20 years of experience. They have spent thousands of hours around kitchen tables meeting with homeowners to discuss their security needs. This gives them the ability to propose a security system that fits you perfectly. Once you choose the Fort Knox system that’s right for you, we’ll send you a contract, and can quickly have you on the installation schedule. The Best Value in Texas! Fort Knox Security offers the very best value in the business! You can count on a lower monthly rate, the best monitoring protection, and top-rated service from us! Our friendly professionals work hard to keep you happy and ensure your safety. Call Fort Knox Home Security today and realize big savings and Texas’ highest rated alarm monitoring service! Compare Fort Knox to some of our competitors. SCHEDULE AN APPOINTMENT & SAVE HUNDREDS! Please call to discuss your unique situation and needs. We want to be your provider of alarm monitoring and home security systems. Using Fort Knox security to protect your home and business is fast and easy! We will put our passion and experience to work for you. $0 Activation & $0 Install Charge. During your research, always check the Better Business Bureau!